One of the quickest and easiest side dishes you can make! 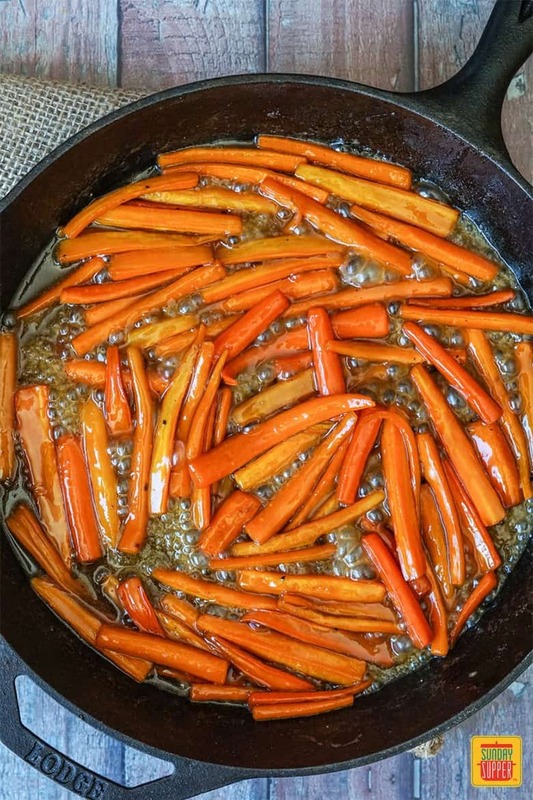 Brown Sugar Glazed Carrots are a wonderful choice for an easy and gluten-free side dish! 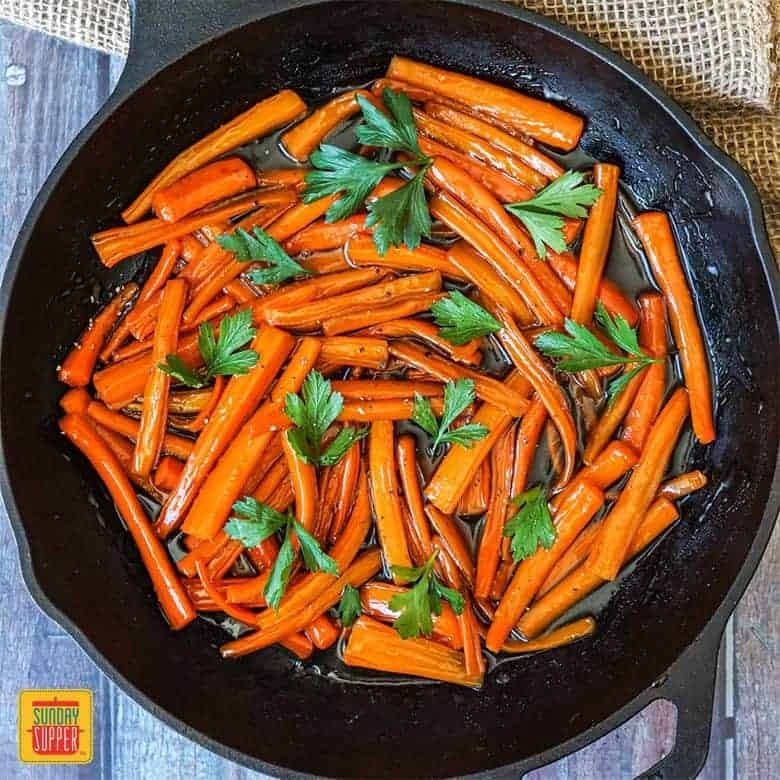 Carrots simmered in a buttery, brown sugar maple sauce until tender, then served immediately with a sprinkling of fresh parsley. 3 tbsp unsalted butter – We recommend using unsalted butter to avoid adding unnecessary salt to the recipe, however, if you only have salted go ahead and use it, just be sure to reduce the amount of salt called for in the recipe. 2 lbs carrots, peeled and sliced into thick sticks – to save time use pre-sliced carrots or baby carrots. Keep in mind baby carrots and thicker, pre-sliced carrots will take longer to soften, so be sure to plan for that extra time as needed. In a large skillet, melt the butter over medium heat. Toss in the carrots, followed by the brown sugar, maple syrup, salt, and pepper. Cook the mixture, stirring occasionally, until the carrots are tender and the sauce has reduced to a bubbling glaze. The glaze will thicken a little more once it is removed from heat. Serve immediately topped with the freshly topped parsley if desired. 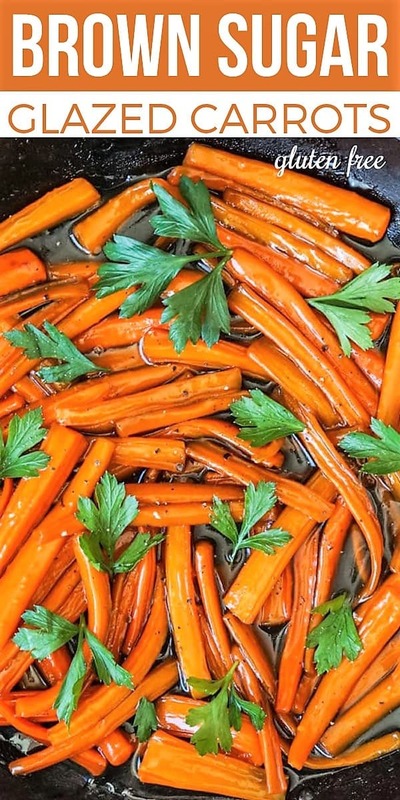 The Brown Sugar Glazed Carrots are best served immediately with a sprinkling of freshly chopped parsley and a little freshly ground black pepper as a contrast for some of the sweetness. I cut the carrots into larger sticks, but they can also be cut into thick slices. For easy preparation, the carrots can be prepared a day or so ahead of time and refrigerated until needed or you can use prepackaged baby carrots. Regardless, the important part is to make sure all the sliced carrots are equal size (and not too thin) for even cooking. Baby carrots or larger sticks will take longer to cook through and become tender compared to smaller slices. 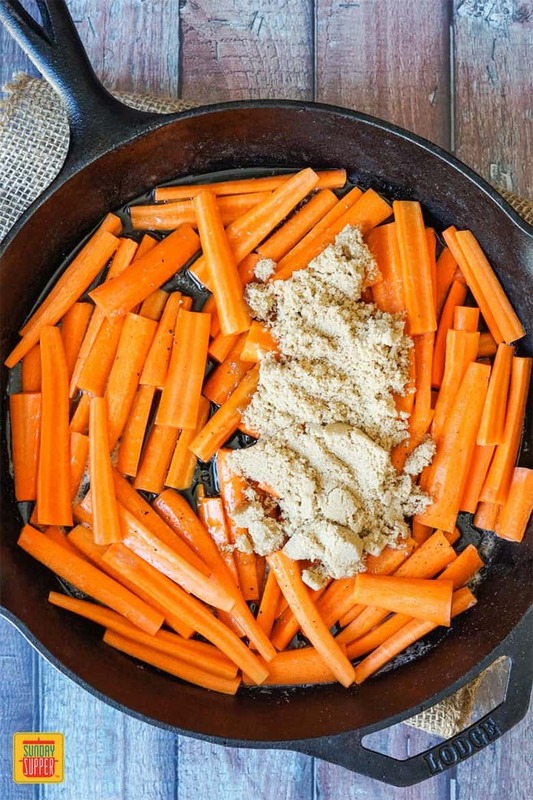 While the carrots can be sliced ahead of time, coating them in the brown sugar glaze is best done right before serving. The butter in the glaze will solidify when refrigerated. Want to add a bit more flavor? Mix in a pinch of ground cinnamon or zest from an orange. I topped the carrots with freshly chopped parsley for a contrast in color and flavor, but this is completely optional. Looking for more gluten-free side dish ideas? 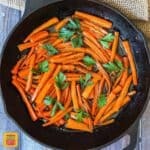 Recipe for Brown Sugar Glazed Carrots. 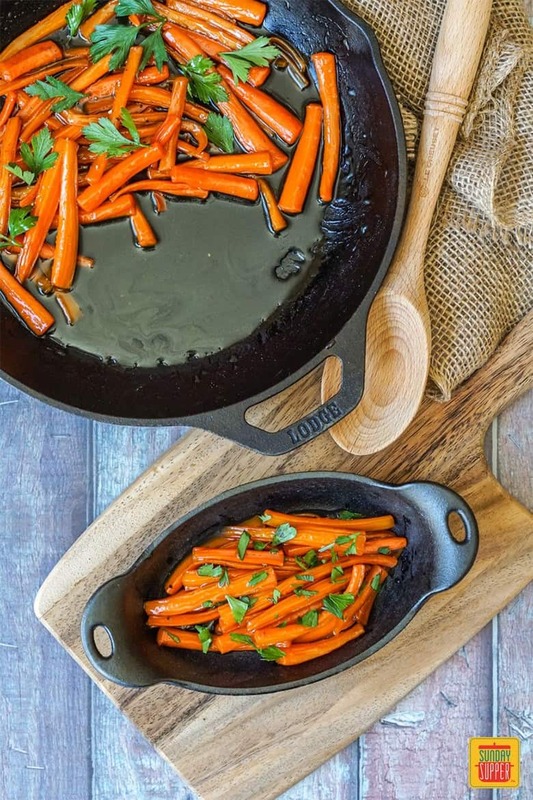 Sweet, tender carrots are simmered and coated in a buttery brown sugar maple glaze.